Both the GTS models get sporty treatment all around and are powered by a twin-turbocharged V8 motor. The GTS models get Porsches new Sport design package which adds to the road presence. 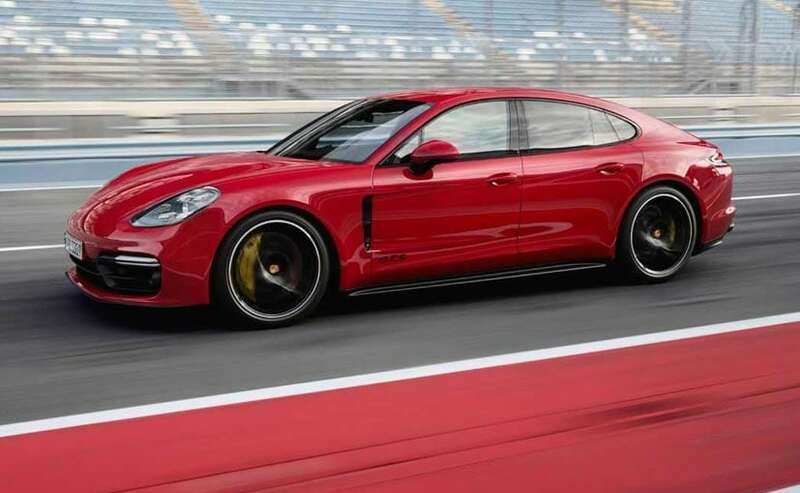 The Porsche Panamera range has become even more lethal with the addition of the new Panamera GTS and Panamera GTS Sport Turismo. 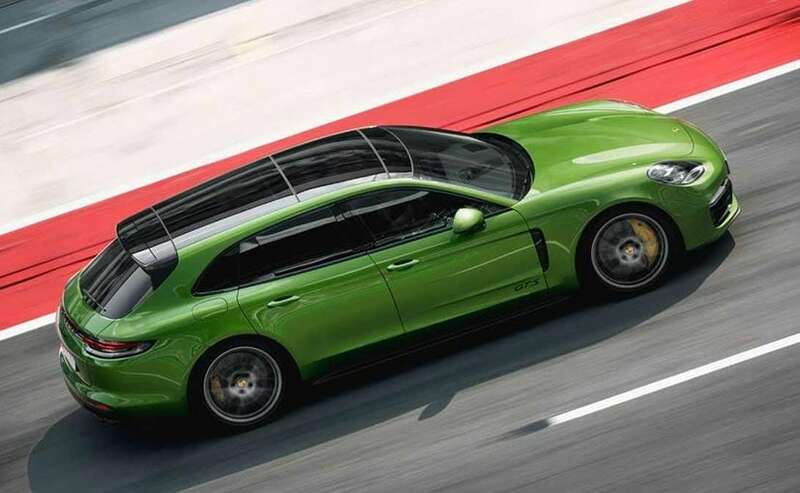 Porsche has upgraded both the GTS models compared to the regular Panamera not only for performance but also to enhance the visual appeal in a bid to distinguish them from the regular four-door. Both the models come with Porsche's new Sport design package which adds to the road presence of these models. Embellished with the Sport Design treatment both the GTS models get a black treatment at the front end and the bottom of the rear. Then there's the quite apparent GTS badging on the front doors just above the side skirts. There are also darker elements all around the car like in the headlamp housing, air-ducts and on the exhaust pipes. The GTS models are equipped with 20-inch alloy wheels as standard. The cabin is finished with black Alcantara all over and gets anodised aluminium treatment on the central console. On the inside, the cabin is finished with black Alcantara all over and gets anodised aluminium treatment on the central console. The standard package on the GTS also includes a heated multifunction flat-bottom steering wheel with paddle shifters, cruise control and the Connect Plus module which offers a wide range of digital services. There are also customisation options available on these GTS models which include a rev counter, designer seams, and GTS logos in contrasting shades of Carmine Red or Crayon, to name a few. Additionally, it gets a coloured heads-up display that can be configured to get numerous drive related information. 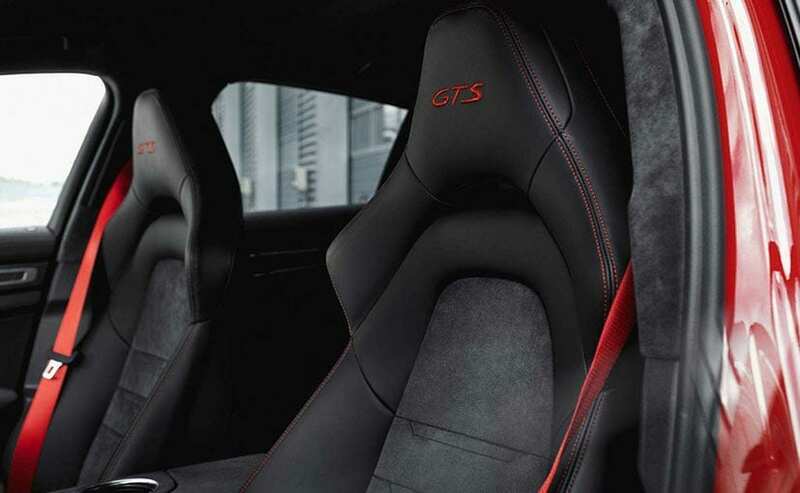 The sportseats get GTS logos in contrasting shades of Carmine Red or Crayon. Under the hood, both the Panamera GTS models come with a 4-litre, bi-turbo, V8 motor that churns out 460 bhp and a whopping 620 Nm of peak torque. This engine produces 20 bhp and 100 Nm more in the GTS compared to the regular model and is mated to an eight-speed PDK dual-clutch gearbox. Both the cars also get Porsche Track Management all-wheel drive system and the sport exhaust system as standard. The Panamera GTS can make a top-speed run of 292 kmph while the GTS Sport Turismo is a tad slower maxing out at 289 kph. However, both the models clock 0-100 kmph in 4.1 seconds. The Panamera GTS can make a top-speed run of 292 kmph while the GTS Sport Turismo is a tad slower maxing out at 289 kph. n the handling department, both the GTS models come standard with three-chamber air suspension that maintains the optimum spring travel in conjunction with the driving modes. The chassis of the GTS models has been lowered by 10 mm and it gets 390 mm disc brakes at front and 365 mm disc brakes at the rear. Moreover, the Porsche Panamera GTS duo is fitted with rear-wheel-steering similar to one seen on the second-generation Porsche Panamera.